This is the ultimate guide to what to do with children in Amman and around. It will be updated as we go! I combined all articles and new discoveries in this post. the newest addition to this post is Umpalu Shop, The LEGO Playhouse, PlaygourndJo as well as one of our new favorite World of Wonders. Everything is sorted in alphabetical order, so make sure to check it all out. This is for sure not a black and white perspective. Jordan has a very young population. Most of the families have probably 4-5 kids. However, I find Jordan not especially kid-friendly in terms of infrastructure. Sure, even strangers will at all times approach your kid and adore him, hug him, kiss him, which is great. At the beginning that might be strange for you being from Europe, but I actually like it. Jordanians just purely love kids. Many times, we go shopping or visit a restaurant, somebody takes care of our son for a while, plays with him or gives him a high five. Mashallah. On the other hand, there is no possibility to walk easily and safely on the street. Boardwalks are blocked with cars, trees, traffic lights, trash or do not exist or have huge steps of more than 40 centimeters, so it is impossible to navigate with a stroller or buggy. Elevators in malls will be occupied by lazy teenagers, who won’t take the escalators or take the stairs, other people will block it with their shopping trolley instead of taking the designated elevators for that. The streets are not really safe to play, there are not a lot of public areas, where kids can just safely play around, there is also not a lot of green spots in the city, and also no means of public transport in a way we are used to it, so you have to approach kids activities in a different way. So let’s have a look at the places and options you do have, apart from the various play areas in the malls. While some of them certainly cost you money, I want to point out some places and ideas that are less expensive or even for free. See the updated map for precise locations on Google maps, also at the end of this article. Please keep in mind that our kids are still little and I am sure there might be other activities more suitable for older kids. Even without kids, this is an attraction you can visit more than once. If you do have kids, you will enjoy the fact that they can work more freely than in the city. You can enjoy the views, nature, take some great pictures and forget the hassle of the city with its traffic for a while. What: The Amman Citadel is a historical site at the center of downtown Amman, Jordan. Known in Arabic as Jabal al-Qal’a, the L-shaped hill is one of the seven jabals that originally made up Amman. The Arabian Horse Club, located about 15 minutes South of Amman is a great place for horse lovers. There are stalls, a horse jumping court, terraces where you can enjoy coffee and Shisha and, most importantly, you can let your kids go for a ride on a horse. Staff is very friendly and they have horses of all kinds of sizes. For kids of all ages and level (from zero to pro), there seems to be a horse. It took our son some time until he wanted to sit on a horse. We slowly introduced him to the animals, let him try to touch them and after some struggle, we put him on a horseback. Once he sat, he really enjoyed his time and seemed to be a proud knight. We really like to go to the boulevard, especially because it is one of the few, if not only street in Amman, where only pedestrians are allowed. Unfortunately, even Wakalat street was opened to cars again. The boulevard reaches from Abdali Mall to the Rotana Hotel and spans over three levels as it elevates from one side to the other. There is plenty of cafes or restaurants that offer outside sitting and kids can walk freely without you having to worry about cars. Throughout the year there are events such as the Christmas market or a book market or other events for Spring or Summer. The big drawback, however, is again the bad infrastructure for strollers or buggies. There are no flat escalators and the elevators are hidden in the side of the buildings and every time you get to a new level through the elevator or coming from the parking, you are being checked again by security. Same applies even if you come from the Mall or just crossed the street etc. What: Pedestrian Boulevard with shops and cafes. Lots of different events throughout the year. Books and More is a great library for the whole family but especially for kids they have thousands of books in English, Arabic and few in French and German on top they organize activities for children of all ages. For detailed info and an interview see my post. Costs: Activities are mainly for free. Reading books at the library is for free. Only if you want to take books home, you pay a small membership fee depending on the duration of commitment. Probably the most well-known activity for kids of all ages in Amman, the children’s museum definitively has to be on this list. For the very little, there is a closed play area, which is OK but smaller than the other play areas in the malls. For kids 3 years and up there is plenty to discover and interact with. Kids can experiment with their own weight, with sand and water, play at a shop, look into a prison, make music and so on. There is also a huge outside area, which is probably great in spring and summer. Unfortunately, as with many things in Jordan maintenance is not strong, so several activities are broken and need to be fixed. I really hope they would check this more regularly and do something about it. What: The Children’s Museum Jordan is a children’s museum in Amman, Jordan. 150 interactive indoor and outdoor exhibits, an art studio, a library, a multipurpose hall, an outdoor theater, a restaurant with an adjunct party room and a gift shop. On standby are additional spaces with potential for development, such as the exhibit hall extension, a botanical garden annex or the special effects auditorium. This is a relatively new adventure/entertainment area located a bit North of Amman. 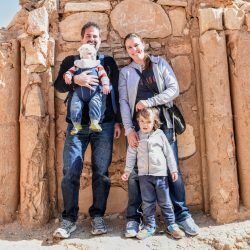 We haven’t been there, yet but since I really wanted to mention it and I trust familyinjordan’s opinion on this, I thought I will link to their post right here. Gravity is a huge trampoline area located on 4th floor of Mecca Mall. It features all kind of different trampoline for kids from age 3 to teenagers and adults. Basically the whole place consists of trampolines. This will for sure release some energy of your kids and it looks like a lot of fun. You can just jump normally or on one of the nets next to a basketball court or the ones at an angle next to the wall. The great thing is, that there is staff who accompany your kids and supervise them, so you can step back and relax or go shopping. See for yourself down in the video. The Haya Cultural Center is a big area in the heart of Shemsani. There is a playground, a small traffic area for kids, a theater and plenty of rooms for indoor activities such as Arts, Music, Learning etc. Have a look what they offer. The outdoor playground is large and nice. The place and the games are maintained well and there is not a lot of rubbish lying around. Usually, it is also not too crowded. It seems my review on Google Maps of The Housing Bank park in Abdoun a year ago has been heard and taken seriously into consideration as it is currently under renovation and I trust it is gonna be much better than before. I explicitly haven’t included in my first post since I did not feel it is safe. However, with new constructions, renovation and the new sun sails for shadow (Which I suggested in my review), it really seems this can be the place to be for families with kids. There is a huge garden with trees, grass, and some benches to sit on. They have a sea-saw, swings, slides and climbing landscapes etc. with the new sun sails you can be sure that your kids can play in the shadow. I think this is a really great plus to the renovated playground. The location right in the heart of Abdoun next to several restaurants and cafes like Buffalo Wings, Crumbz, Fitness First and Taj Mall make it a great choice for a family destination. You can walk through the park, let your kids play on or near the parking with some other kids. You might teach your kids here to ride a bicycle or play some soccer for example. It is a huge area, so there is enough place for everybody. If the weather is nice it is quite a popular spot among Jordanian families as it is for free and you can have a picnic, too. Where: Near Dabouq, West of the main street between Khalda Circle and Medical City Circle. Of course, IKEA is mainly a furniture/accessories store but it also has the restaurant and the kids play area (Smaland). If you are an expat, you are probably familiar with the concept. However, you most likely have never seen an IKEA that empty, no matter when you go. As opposed to the furniture, the food is priced pretty reasonable, so you can have lunch with your family and let your kids play in the Smaland before or after, while you can browse the store and enjoy some silence. Only, drawback is that sometimes they tell you, you can only have your kid there for 45 mins or that the place is full, something that does not happen at IKEA in Germany. LEGO Playhouse in Mecca Mall is one of my/our favorite (indoor) places for young children, not only because I love LEGO, but because the team is just great. At first, I was a bit skeptic, to be honest, since the place was a bit tight and did not know if our son will like to play on his own. But we gave it a try, and from the first second the lovely staff took care. They pay attention, support the parents with any needs, inform when kids have to go to the toilet, teach the kids what’s wrong and right and that they have to share. So what is the LEGO Playhouse? Since it has expanded lately, there are three huge pools, two of them filled with regular LEGO (for kids above 4/5) and one with LEGO Duplo (kids aged 2-5). Apart from that, there some learning games on the walls, tables and chairs, whipping animals, and a soft play area with a ball pool and slides. Recently, also the birthday/party room got expanded, but we haven’t experienced it, yet. The LEGO play area is really nice and there are so many LEGOs that a lot of kids can play at the same time. There are all sorts of Duplo, such as animals, cars, food items and so on. For the normal LEGOs there are also plenty of different stones. The soft play area gives the kids a chance to move around and stay in motion. The different learning games also provide some alternatives to the LEGO. However, the best part about the LEGO Playhouse for me, is, that the staff is really friendly, welcoming, nice with the kids and always taking great care of them. This is another one for the family. Mijana should actually be on my list of Arabic Restaurants as they serve good food and have a really nice location. The restaurant is located right off the rainbow street but is definitively worth checking out, with or without kids. It is not one of the cheesy establishments but a really nice spot with several floors, sitting corners and a nice hidden garden terrace where you can enjoy summer nights. They offer the typical Levant Cuisine from all kinds of Mezze, Mashawi and of course Argila/Shisha. So why is this place on this list? On the First level, there is a small play area with a ball bath and some swings where your kids can enjoy playing while you enjoy your food. Of course, it is not as large as the other soft play areas in the malls but at least it is one of the few restaurants that offer something like this (apart from the obvious fast food chains that we avoid). So if you want to have a family dinner while giving your kids a chance to play, Mijana is a good choice. What: Arabic Restaurant with a play area for kids. Shisha available, no alcohol. Costs: Depends what you order. Play area for kids for free. Al-Mororiyah Park features next to a playground and a small theater a kids traffic area, where they can drive around in small electric cars and practice “driving” and traffic rules. It looks like fun. I assume kids should be at least 4-5 years. The area is quite large so there is enough space. When the weather is good, a lot of parents seem to enjoy this place. The playground is average and not too clean, unfortunately. PlaygroundJo is a bit different than the other typical play areas. Firstly because it has a very open design, there are no boundaries or gates to the playing area itself. The idea of the playground is a huge climbing area while under it are hundreds of foam cubes to dive in. It really looks like fun. There are slides, ropes, bridges and so on. There is another open area and also something for toddlers so everybody can enjoy. As the building is facing Mecca street, the sun is shining in from one side but it is a bit dark on the other side. For birthday parties they have a special room. From time to time they do have events as they had for Helloween for example. The area for parents is comfy and you can help yourself with free Nescafe and Tea. The only drawback of PlaygroundJo for me is that it is really difficult to find. There is no sign outside and the entrance is on the side of the building. PlagroundJo is on the 3rd floor. But that one is taken care of now for you. Where: 40-minute drive North of Amman right in the middle of Amman and Jerash, close to King Talal Dam. Tala Kids Club is a relatively new play area for toddlers and kids. So what is different here than from the other play areas. First of all, Baraka Mall is usually not so crowded, so it is not as full as in City Mall or Galleria Mall for example. There is much more light, which is really great so you don’t feel so depressed like in City Mall or Taj Mall. At last, it is newer, cleaner and also much quieter since there are no roller coasters around…. There is more staff and they are pretty friendly. The play area has a huge playing labyrinth, a ball pool, some trampolines and activities for infants/toddlers. Parents can sit at the tables, watch their small ones, or join them as well. There’s a snack and coffee vending machine as well. You might also bring some food or coffee from outside or downstairs from the cafe on the first floor. They also provide a party room where you can have a birthday party for your little ones. That is, however, a bit pricey. Tipp: Call before you go to make sure there is no birthday celebration and you and your kids will return disappointed. Costs: 6JD per hour, 10JD per 2 hours. There are further discounts if you pay for more hours in advance. Umpalu Shop is co-founded by two women from Austria and Germany. One of them being a mom of three, she dedicates her love for children activities and crafting to Umpalu. They offer a great choice of party supplies such as crafting kits with pirate, sea, unicorn, princess and other child-loved themes. Apart from that they regularly organize crafting mornings every Saturday in cooperation with the Boutique Bakery inside the French Institute in Webdeh. They also sometimes team up with other play centers such as Mini Mozarts and organize joint events for children. The team is really friendly and they love taking care of the kids, so that you can take a step back and enjoy a fresh coffe or croissant if you wish. Costs: depends what you buy and the activities. Crafting mornings are usually around 15JD/2 hours including material that you can keep of course. V-Yard is another play center which hosts kids and toddlers play area, some machines, and a neon light bowling alley, so there is something for all ages. It is located near Khalda Circle and pretty nice. The play area for kids is quite huge and parents can sit close by and enjoy some of the snacks such as freshly baked pizza. Staff was friendly and prices are similar to the other play areas. I personally just think it is a bit too loud and the lighting is a bit distracting but I am sure your kids will have fun there. Wild Jordan Center is a nice combination of cafe, a restaurant that combines a Visitor Center and a family/student friendly place with a great view of Down Town and the Amman Citadel. 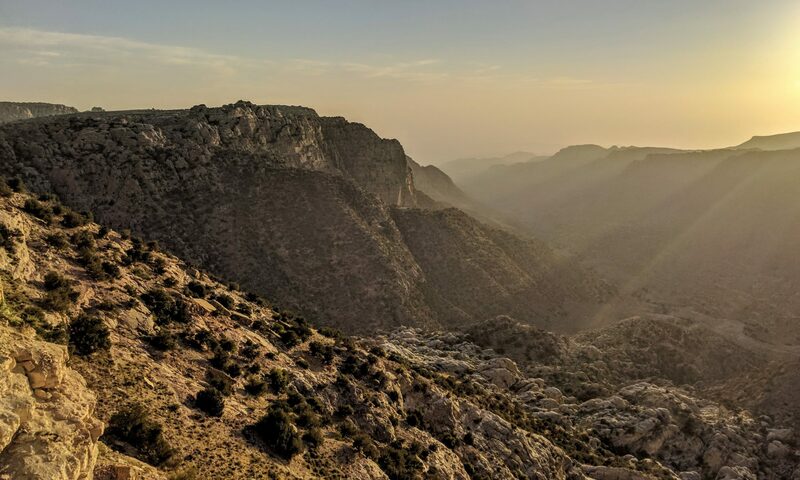 You can inform yourself about the activities offered by Wild Jordan, browse the Nature shop, where they offer crafts and food created by local artists and they also have some meeting rooms. The good thing is, they have a dedicated family area, where you can sit and don’t have to worry to annoy anybody or get weird looks when your kids are a bit louder again. The balcony offers a great view and for the kids, they have some books, bean bags and toys. Sometimes they host events for kids. Last time we attended some crafting event organized by The Orenda Tribe where the kids could create some Helloween monsters. The often organize events for kids where they can paint, draw, do some crafting or get some face painting. The earnings are for a good cause. Costs: Depends what you eat and drink, but price upper midrange. Activities depend on what it is. This currently my favorite place as it combines an indoor and outdoor playground in a beautiful setting. Located in Khalda this new play area offers several rooms with different. One room is dedicated to play sand, another to the Carrera track or painting, another to building with Lego, bricks or magnetic toys, another one for dancing and music and a small open play area for toddlers. There is a lovely small cafe for parents from which you can access the stunning outside area. Kids won’t miss anything here as it is equipped with two trampolines on ground level, a tree house, a water fall, a climbing wall, swings, slides, a play house and other activities and toys for movement. There are benches for parents to sit and the area looks just great. Staff is really friendly and motivated since it is still new. I hope they keep up the good vibes and continue taking care of kids in a nice way. Costs: 8 JD for 2 hours from age of 1.5 years. Special offers, and prices for activties might differ. Yippee is the soft play area for kids and toddlers in Abdali Mall with a view right at the boulevard. It is located a bit hidden on the food court near the golden M. The play area for kids is interesting and pretty clean, since relatively new but also a bit small. The sitting area for parents is also pretty cramped and I wish they would have given it all a bit more space. The prices for snacks and drinks are at the top with 3 JD for a juice and 1.5 JD for a banana, if I remember correctly. There is a small trampoline with transparent cover and some water beneath which is cool for small kids. Also, they seem to do the occasional dancing or other entertainment for kids. However, when we were there they didn’t pay much attention to our little one and again it was crowded, loud and not so enjoyable for parents. Costs: You have to pay for 3 hours and it is 13 JD. So the price per hour is not more than elsewhere but for our kids, 3 hours is too much anyway. Truly not the typical expat spot but it is quite OK. There is a huge playground both on rubber mats and sand outside. If the weather is good, the inflatable huge slide will be open. There is a small snack place and next to the playgrounds there are some rides for kids, which are relatively cheap. There is also a theater and sports ground and they offer activities and courses, which you might check out on their website. What: A Cultural Center including a playground, sports ground, rooms with indoor activities, a small fairground and a snack place. If that all is not enough, just go out of your house and play in a quiet street, do some activties, go to festivals or hiking. Thanks for some of the ideas, we will definitely try them out. Our favourites include Yippee play area in Abdali Mall, Lily Gym (for toddlers) at the end of Mecca Street, and for parks we go to the Housing Bank park in Abdoun opposite Buffalo W&R, Deir Ghbar Park next to the French school and Diyar Park in Abdoun next to cozmo/coffee bean, I’m case they’re new to you! I would add Sports City Park, just north of Shmeisani, in which there is a large wooded area with paths. A lot of families bring their kids there to play, and it’s great for cycling. It is a fun learning center in Amman, where it uses interactive activities to build on its skills.